See prices in the top 10 cities for milk, soda, etc. 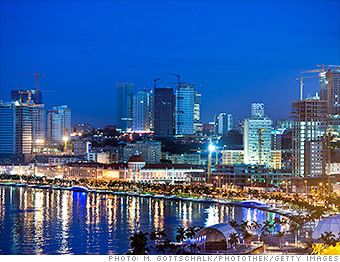 Luanda is the most expensive city in the world for Americans for the second year in a row. Living safely in a country overrun by civil war for nearly 30 years comes at a steep price. Americans want apartments with features like gated entrances in pricey neighborhoods near international schools, says Ed Hannibal, partner at Mercer. The good news is that gas is just $0.61 per liter, and the price is dropping.